Thanksgiving is one of my favorite times of the year. A short week of work, good food, football, time spent with family, and the thrill of shopping make me very thankful. Best of all is a bit of extra time for gaming, and this year was no exception. This week in co-op, we'll take a look at what was on our family's Thanksgiving table of gaming goodness. Pumpkin pie is one of my favorite foods. It's a dessert, which means you usually only eat a small portion. However, deep down, we'd all like to eat the entire pie in one sitting, right? That's pretty much how my experience with Left 4 Dead 2 was this past week. Due to baskeball practices and homework, my oldest son and I only got to play the game for a few hours. Those hours were probably the best co-op of the entire week, though, which made me want to kill zombies just that much more. The new campaigns are very fun, and well designed, which is very sweet, just like pumpkin pie. 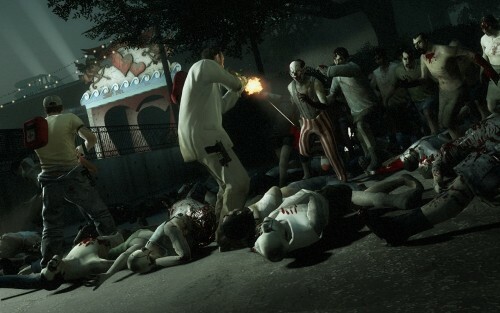 The totally revamped, unique finales are the whipped cream on top that makes the whole Left 4 Dead 2 experience that much better. Ah, the buttered roll. Tasty, doughy goodness, all covered in delicious melted butter. Rolls are not the main course in any meal, but it seems like you always end up eating more of them than you thought you would. 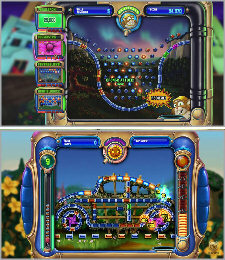 Peggle was the same way. It may not be true co-op, but my son and I played multiplayer with each other, and it felt somewhat cooperative as we worked together to eliminate all the orange blocks. Peggle is casual, charming, and deceptively addicting, always tempting you. You'll say "only one more and I'll quit" with this game, just like those rolls! Mashed potatoes are a staple of meals throughout the year, not just for Thanksgiving. They are great with anything, especially when there's just the right mix of lumps, smoothness, and delicious gravy. As far as our gaming week went, the equivalent of mashed potatoes is Castle Crashers. We played it quite a bit, and it's a good experience every time. The recent, very affordable DLC packs have added a bit of spice to the game, and playing as the Necromancer and a Minion was certainly fun. Castle Crashers is fun now, and will still be fun a few months or even years down the road. I'm sure it'll be on our gaming plate just as often as mashed potatoes are on our real plates. On to the vegetables. Ick. While they can be quite delicious if prepared correctly, they aren't the focus of any meal. They are good for you, so you have to eat them, but you really want to move on to the other stuff on your plate. That's how I feel about the latest Guitar Hero game, too. Van Halen is one of my favorite bands, but there is nothing new here, at all. In many ways, it is a step back. Compounding the distaste is the fact that half of Van Halen's songs, those featuring Sammy Hagar, are missing. I played it anyway, but only because it was free, and I felt like I needed to review it someday. I quickly moved on to better things, just like I do when eating my vegetables. 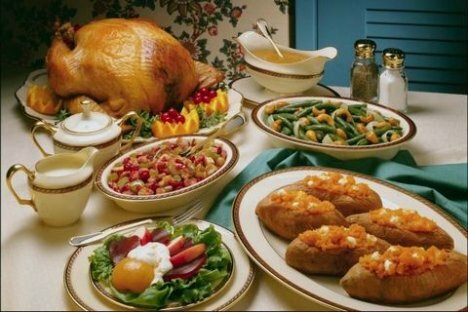 Turkey is the focus of most Thanksgiving meals. We all look forward to a delicious plate full every year. You eat way too much turkey through the day, though, sometimes so much it makes you sick to your stomach. Plus, turkey leftovers aren't very appetizing at all, are they? The Thanksgiving gaming experience I'd call a turkey was New Super Mario Bros. Wii. 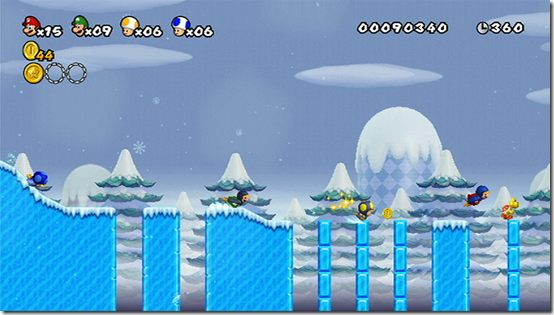 At first, we had a good time, and I really liked the classic Mario platforming elements. But playing in co-op was a real chore. We got sick of dying over and over because we bumped in mid air, or nudged each other off a ledge. Though it was great to begin with, just like that juicy, delicious fowl, by the time the weekend was over, it lost much of it's appeal. As far as the co-op is concerned, New Super Mario Bros. Wii is a real turkey. Page created in 0.2236 seconds.